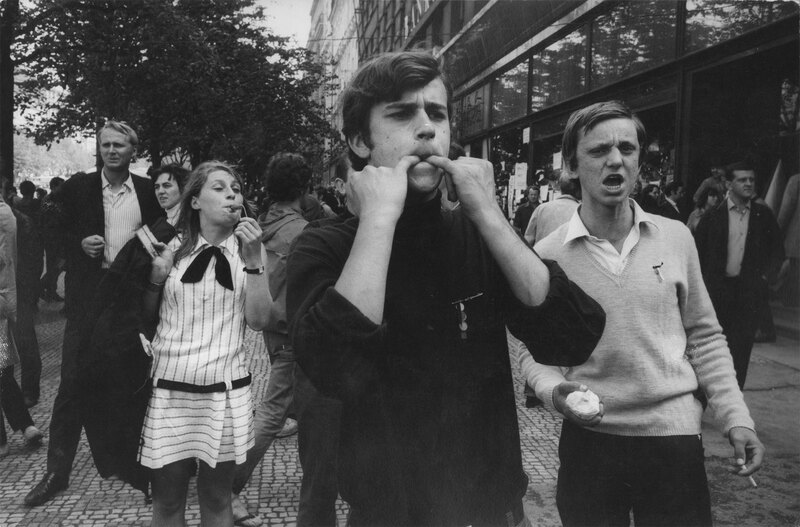 In May and August of 1968 two very different uprisings took place on the streets of two European cities, photographed by two very different photographers. 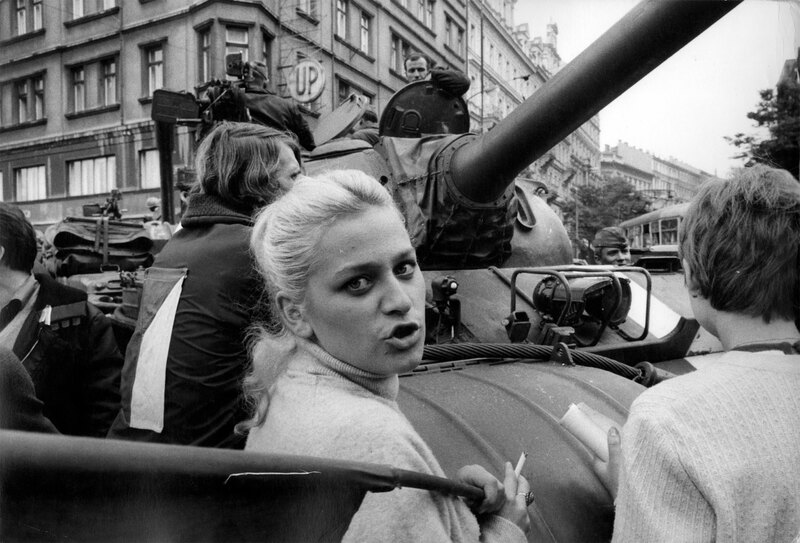 Ian Berry arrived in Prague (under the pretence of attending an architectural conference) on the same day as the Warsaw Pact tanks rolled in and was the only foreign photographer present to capture the momentous events of that day. He stayed for a week, eventually escaping with his film hidden in the hub-caps and headlights of his rental car. 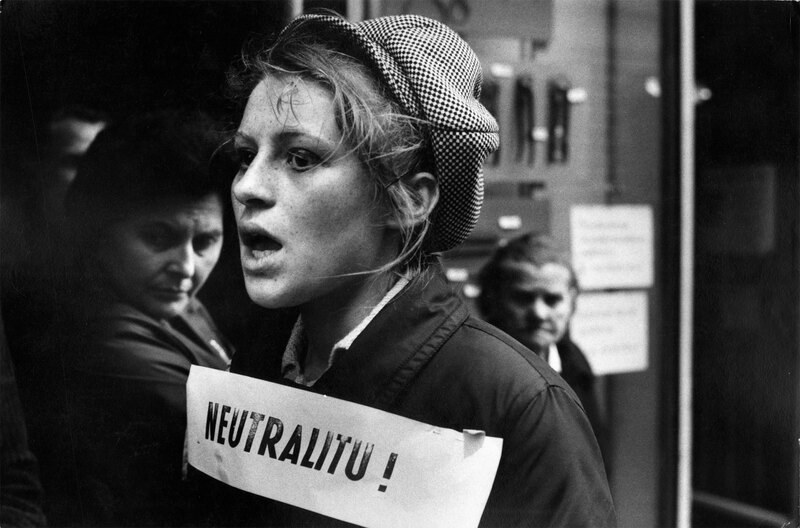 Earlier that same year the lconic Bruno Barbey, a French photographer, and like Berry a member of Magnum, was on the streets of Paris buying a brand new crash helmet in the company of Henri Cartier-Bresson, in preparation for photographing the enfolding events surrounding the Paris riots and the occupation of the Sorbonne. 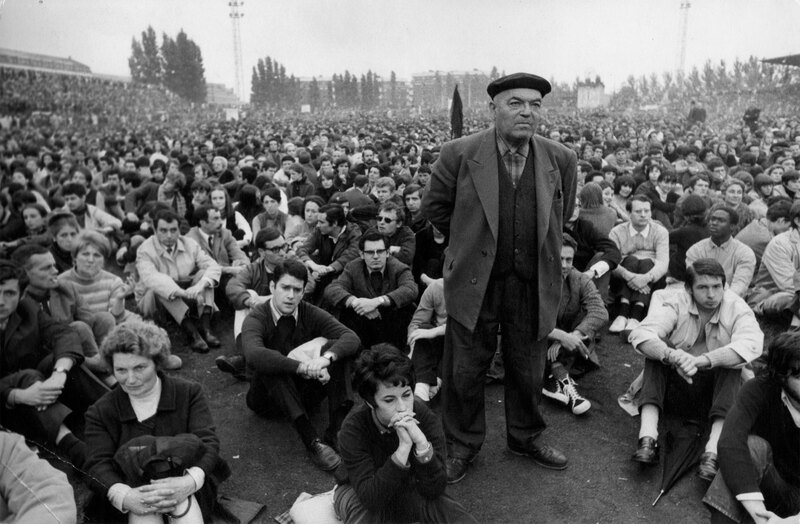 At its height the protests nearly brought down the government of de Gaulle and brought a halt to the fabric of society for almost a month. 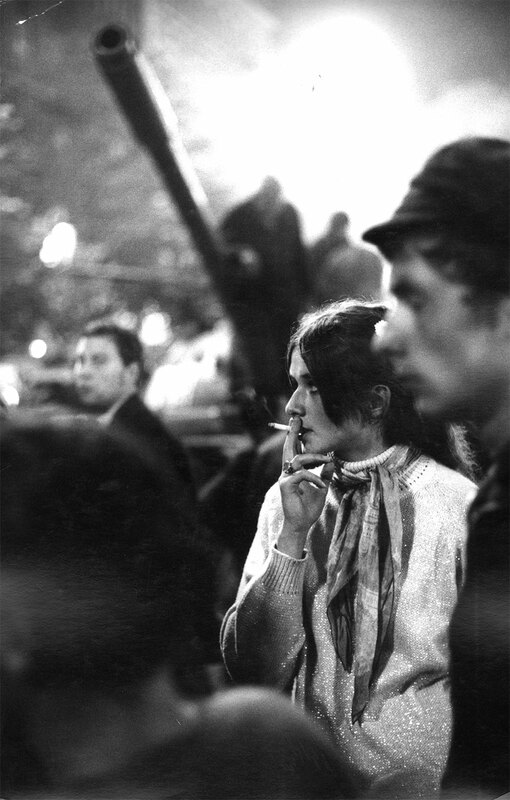 1968, Paris. CRS fighting people with water at the cross of Boulevards Saint Germain et Saint Michel. 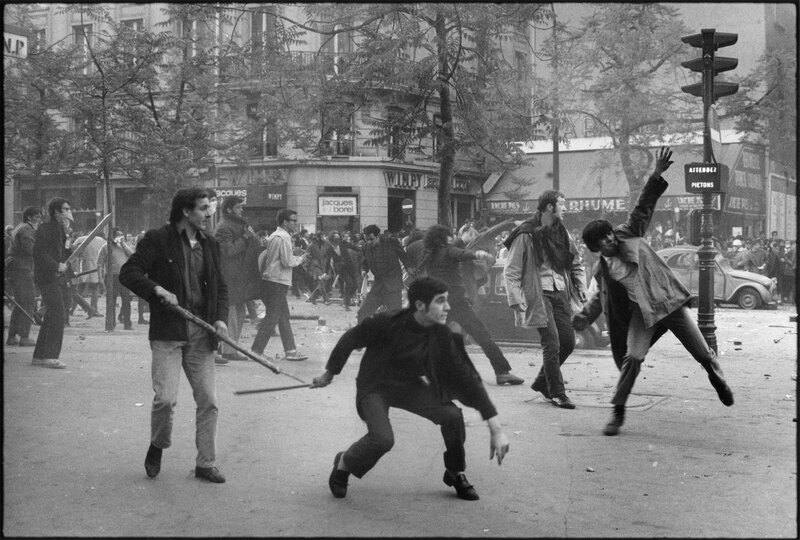 May 1968, Paris. 6th Arrondissement. Boulevard Saint Germain. Students hurling projectiles against the police. 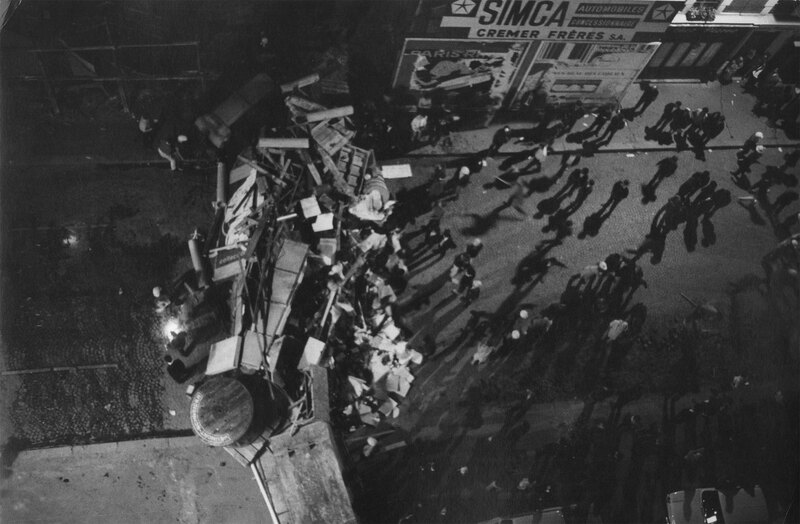 Night of 10 June, 1968. 14th Arrondissement, Paris. 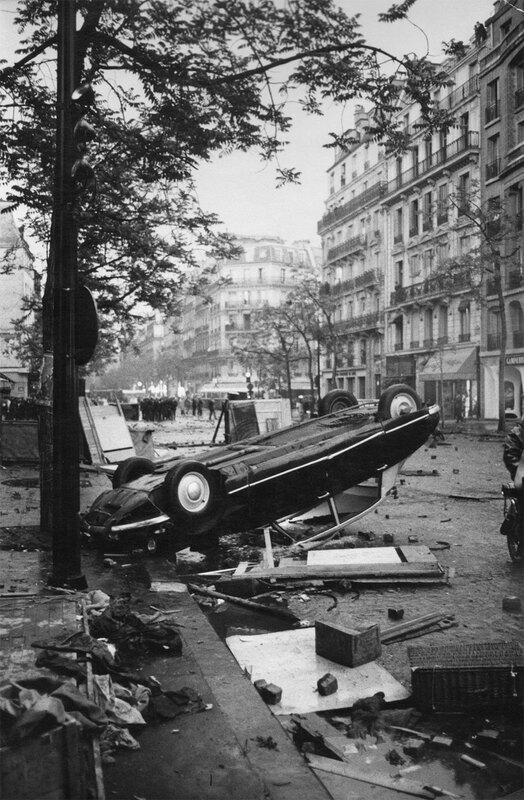 Riot on the corner of the Boulevard Pasteur & Rue de Vaugirard. 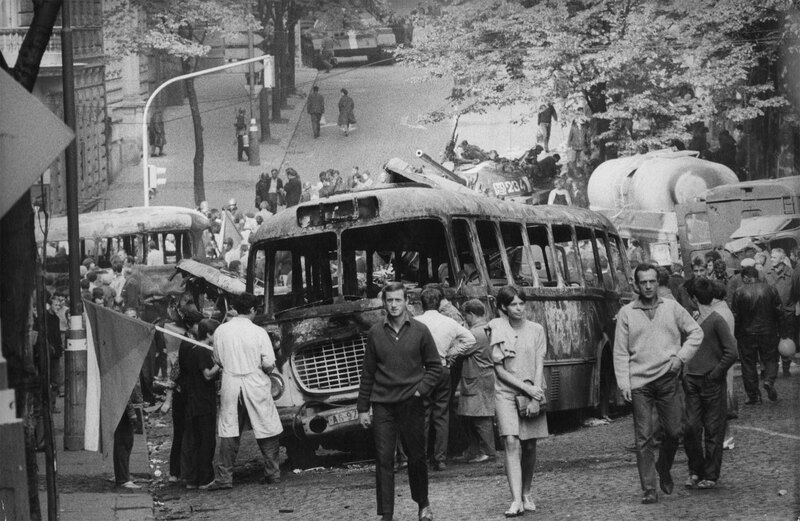 Night of May 10/11 1968. Boulevard St. Michel, Paris. 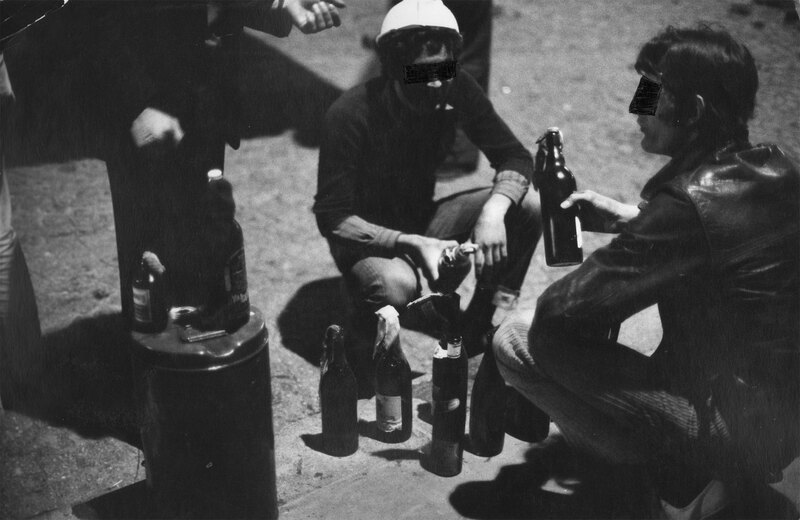 Demonstration with Molotov Cocktails. 6 . x 10 in.